Today is a perfect autumn day here in the Desert Southwest: brilliant blue sky, long sleeve t-shirt day time temperatures, light breezes, golden sunshine and sunflowers blooming in the arroyo behind the house. Beautiful with just a slight touch of that fall melancholy. The resident gray fox has been playing(?) in the crisp early morning air, running, jumping and chasing his tail - a fine looking, entertaining fox if there is ever one! When the fox is not around, the jackrabbit comes out to feed. Flocks of mixed birds swarm in the trees and then descend to the bird bath and several bowls of water I have set out for them. And Seamus, our handsome goofus fur child, patrols the perimeter of the yard with much more vigor than he does in the summer, making sure no critters have breached the wall during the night. 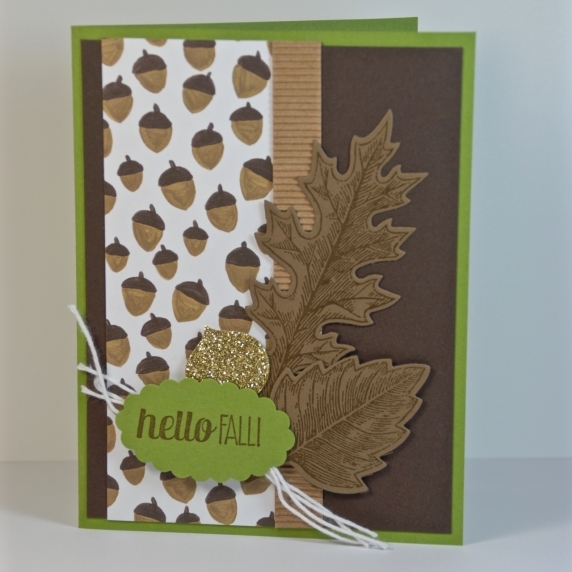 "Hello Fall" leaf and acorns autumn greeting card handmade by Lisa of Cards by Li Be! Because of today's brilliant weather I was reminded of a George Eliot quote in the Letter to Miss Eliot, October 1, 1841: “Is not this a true autumn day? Just the still melancholy that I love - that makes life and nature harmonise. The birds are consulting about their migrations, the trees are putting on the hectic or the pallid hues of decay, and begin to strew the ground, that one's very footsteps may not disturb the repose of earth and air, while they give us a scent that is a perfect anodyne to the restless spirit. Delicious autumn! My very soul is wedded to it, and if I were a bird I would fly about the earth seeking the successive autumns." Then another quote came to mind, this one by Nathaniel Hawthorne in The American Notebooks: “I cannot endure to waste anything so precious as autumnal sunshine by staying in the house." So true!!! So I need to finish this blog and head on outside to bask in the glorious autumn sunshine. I wish you could join me! 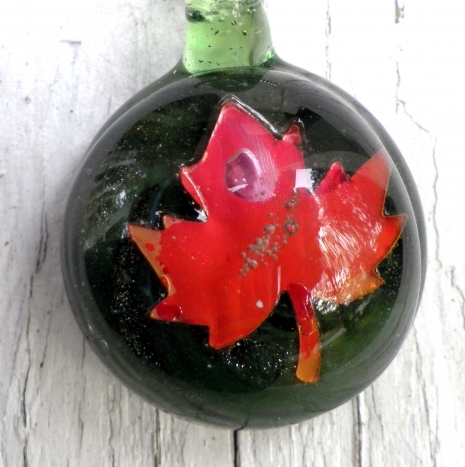 I hope you enjoyed these beautiful autumn selection from some very talented artist friends! If you would like to make my day and the day of the artists featured, please leave a comment. And any promotion you can do will be greatly appreciated. Thanks! 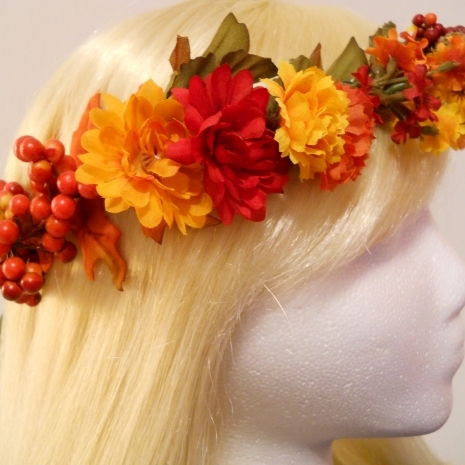 Fabulous selection of autumn inspired items, the fall season is my favorite. Hey, Diane - thank you for coming here from the Twitter Tree. Appreciate the wonderful comment! Catherine, this blog is a wonderful summation of why we love Autumn. Once can be sad for the loss of summer or instead celebrate the season for its beauty, quality of light, and even moodiness. I'm writing this indoors as today is decidedly wintery in my mountain home. 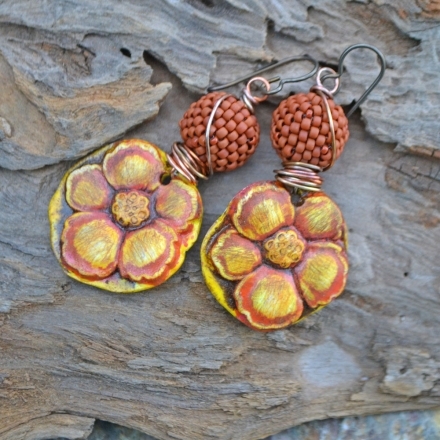 Snowing and grey outdoors, I enjoyed the riot of fall color in your handmade selections today. Thanks so much for including my studio. You know, Pamela, as I wrote this, I knew that many places had already moved from autumn to winter. Summer stayed quite long here in the Desert Southwest, so we are truly enjoying the beauty of autumn here. 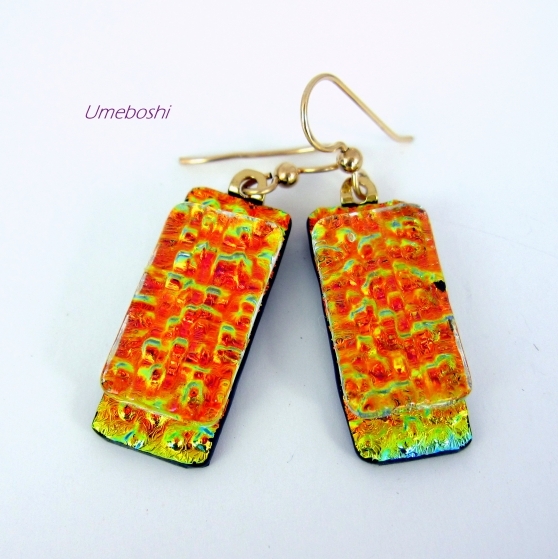 Glad to include your beautiful earrings. Fall is fading fast. Grab hold! Fall is one of my favorite times of the year. 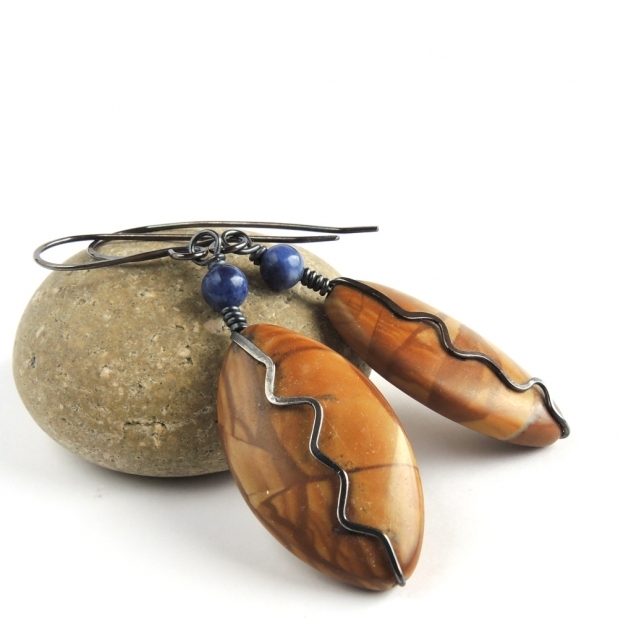 These beautiful items keep Fall in mind and gives a bit of autumn beauty to latch on to. Thanks for sharing these. All pinned up. And you live is such a gorgeous place to enjoy the beauty of fall, Jo. I used to revel in the colors of the leaves when we lived in Northern VA. Don't have that here - the colors of autumn are much more subtle. Beautiful nonetheless. Many thanks for pinning everything. What a lovely tribute to Autumn. I love this time of year and your wonderful prose made me "see" what fall looks like in your part of the country. I love the necklace you made. 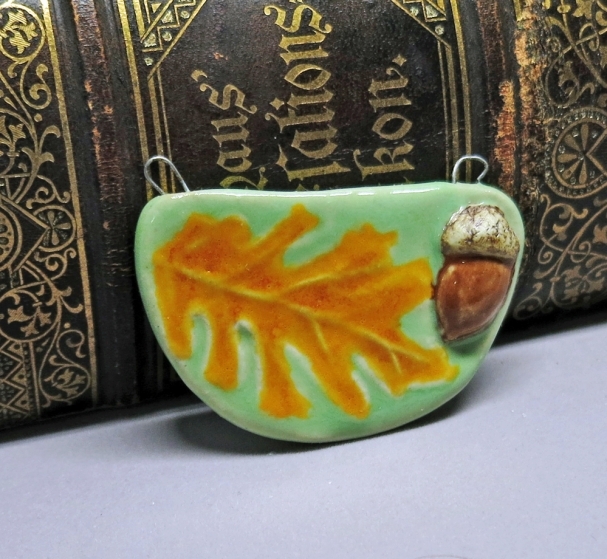 Thank you for sharing my ceramic pendant! Am so glad you can "see" our glorious fall, Linda, even though it has come later than normal this year. 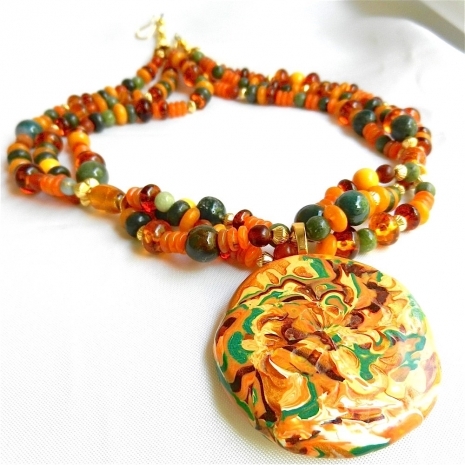 Thank yu for your kind comment about the necklace and for stopping by and commenting. Not only have you captured the essence of fall colors with the selection of handmade beauties, but you selected perfect quotes to accompany the selection. My favorite of them has to be Hawthorne's. We've actually enjoyed some cooler temps these last few days - even turned on the heat this morning to take off the crisp chill in the air. Definitely one of my more favorite seasons! Thank you for including my "Hello Fall" card among the rest of this collection. Yes, Hawthorne's quote is my favorite too, Lisa. Direct and to the point! That's why I am not getting much done because the weather draws me outside. Am glad it's cooling of there. It was a pleasure to share your beautiful card! Dear Catherine~ This is So Lovely!!! I Love the "Woodland Fall", Indian Summer !!! Thank You for including my Fall Wreath! I agree, Michele - love those warm days and chilly nights (: Glad to include your fall wreath! 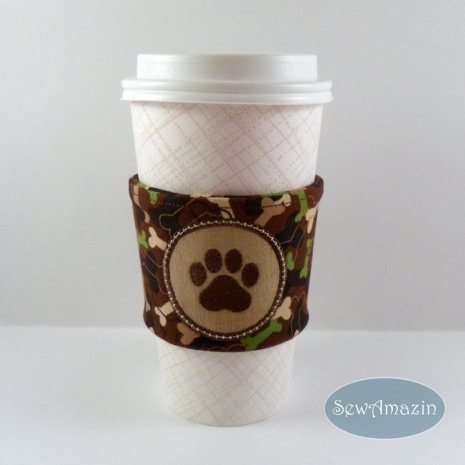 Catherine, thank you for including my camo coffee wrap in this week's blog. Love all the fall colors in your selections! Pinned all. A reminder of the loveliness that Fall brings. Thank you, Catherine. And your Fall sounds lovely, Anna! Thank you for stopping by. Such lovely quotes that capture the warmth of the season! 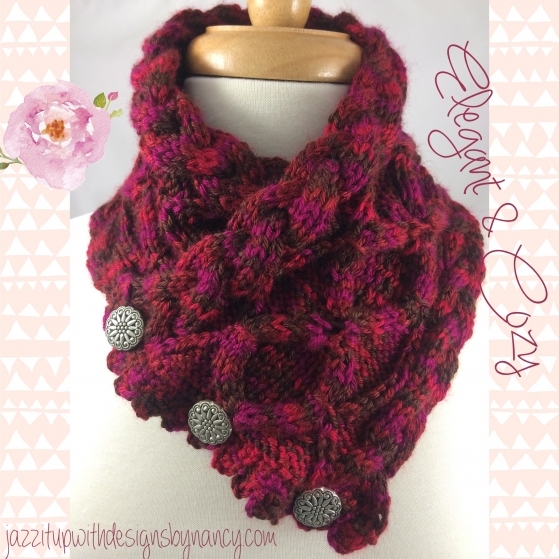 Your choices in autumn colors are fabulous! The cooler days of fall with blue skies and a whisper of wind are perfect to enjoy being outside. Appreciate your comment, Debbie! Am so glad you enjoyed the quotes for such a beautiful time of the year. 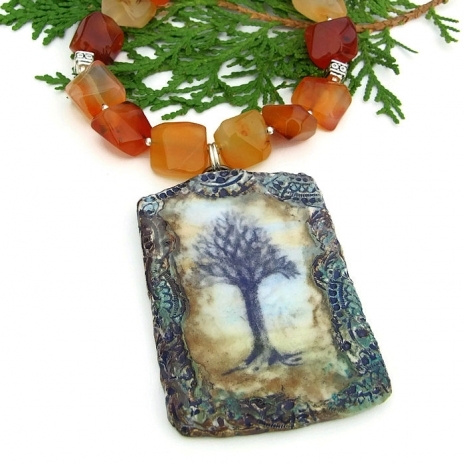 Beautiful fall colors in these gorgeous items. 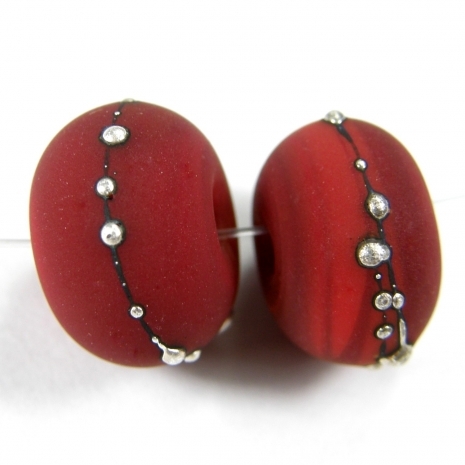 Thanks for including my lampwork beads.